When the dead begin speaking to sixteen-year-old Kim Nguyen, her peaceful childhood is over. Suddenly everyone wants to exploit her new talent - her family, the Vietnamese government and even the spirits themselves. Winner of the 2014 Viva La Novella prize. Inhabiting the speculative peripheries of the historical record, Blood and Bone is an uncompromising exploration of Australia's dark history and its legacy today. Winner of the 2014 Viva La Novella prize. 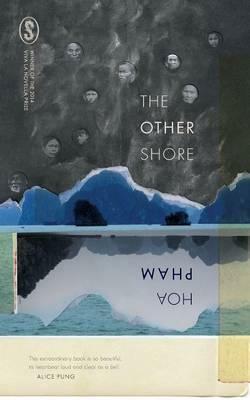 The Other Shore is a delicate meditation on the nature of ghosts, belief and how the future is shaped by the past. Winner of the 2014 Viva La Novella prize. Sideshow is a hilarious and rollicking take on the thrill and drudgery of a life on the road and on what it takes to perform day . . . after day . . . after day. Winner of the 2013 Viva La Novella prize, Midnight Blue and Endlessly Tall is an original and unpredictable novella about the relationships that consume us when we're least expecting it.